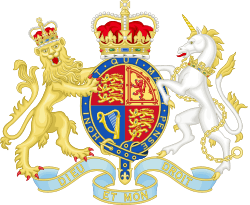 Her Majesty's Courts Service (HMCS) was an executive agency of the Ministry of Justice (MoJ) and was responsible for the administration of the civil, family and criminal courts in England and Wales. It was created by the amalgamation of the Magistrates' Courts Service and the Court Service as a result of the Unified Courts Administration Programme. It came into being on 1 April 2005, bringing together the Magistrates' Courts Service and the Courts Service into a single organisation. On 1 April 2011 it merged with the Tribunals Service to form Her Majesty's Courts and Tribunals Service. Her Majesty's Courts Service carries out the administration and support for the Court of Appeal, the High Court, the Crown Court, the magistrates' courts, the county courts and the Probate Service in England and Wales. When established court services were administered by seven regions responsible for 42 local areas. In 2007 this structure was re-organised by reducing the number of areas to 24. The areas are managed by area directors, responsible for the delivery of local services. They work in partnership with courts boards to ensure that the Agency is focussed on its customers and is meeting local needs. The Government White Paper "Justice for all", published in 2002, recommended that a single agency should be developed to support the delivery of justice in all courts in England and Wales, instead of the magistrates' courts and the Court Service being administered separately. Greater flexibility in the use of court buildings. On 31 March 2005, responsibility for the 42 existing magistrates' courts committees and Court Service passed to Her Majesty’s Courts Service.